Philippe Larédo is Directeur de Recherche at Université de Paris-Est Marne La Vallée (IFRIS and LISIS) and professor at the University of Manchester (MBS, Manchester Institute of Innovation Research). His research interests are on new emerging sciences and breakthrough innovation, on the globalisation of RDI activities of large firms and on research and innovation policies. 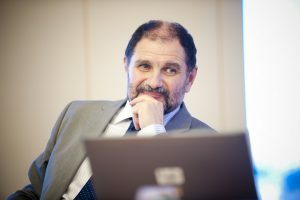 Recent work on the former focuses on market construction while policy oriented work deal with new evaluation approaches for assessing societal impacts of public research, and on the development of ‘positioning indicators’ (with the coordination of a distributed European research infrastructure supported by the EC, RISIS, 2014-2018 and 2019-2022).